Roofing Repair Can Save you at least 20% On Energy Cost!! Thank you for contacting Northbay Roofing & Gutter Co., a representative will contact you shortly. Healdsburg roofing contractors need to know their craft. Being able to nail a shingle up on a roof doesnt make you a roofing contractor in Healdsburg or any other town in California. Believe it or not, there are so called roofers who are barely qualified, improperly licensed and in some cases, uninsured! When a storm rips thru Healdsburg, CA you need a professional roofing contractor. When you need emergency services, roof repair or inspections, NorthBay Roofing & Gutters Inc. is the Healdsburg roofing contractor for the job. 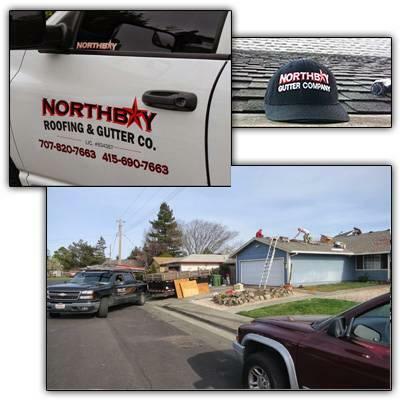 Customers in the Healdsburg area, some of which may be your neighbors, have already discovered why NorthBay Roofing & Gutters Inc. is the number one choice among Healdsburg roofers. Healdsburg, CA residents have discovered over the years why we are the best roofer in Healdsburg. We are GAF Certified residential roofers who are fully Licensed and Bonded. View our Perfect Standing with the Better Business Bureau. Healdsburg, CA area homes or businesses, call NorthBay Roofing & Gutters Inc. today at (707) 820-7663 to schedule a roof inspection and estimate.